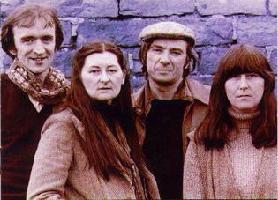 Mike and Norma Waterson and Martin Carthy. Tony Engle: C melody saxophone; Alex West: tuba. This is a record to remind us of what we've lost since the flood of Victorian hymnals, notably Hymns, Ancient and Modern (1861), pushed out so many noble traditional melodies and replaced them with sanctimonious dirges, genteel but of small spirit. The move towards a truly popular kind of hymnals had started at the outset of the eighteenth century with the young aggressive Isaac Watts and his Hymns and Spiritual Songs, and as the number of dissenting & evangelical groups grew so the use of folksong-based melodies increased, till by the time of the religious revival called the Great Awakening there was a mass of believers prepared to 'take the Kingdom of Heaven by storm' with forthright folk hymns to match their militant faith. In this movement, Britain and America were inextricably bound together. A pioneer of the Great Awakening was George Whitefield (1714-1770), an English Calvinist (his famous chapel is in the Tottenham Court Road) who campaigned along the American seaboard among poor dissenters - many of them Quakers and Shakers of British origin - while a brother-preacher, Shubael Stearns, was stumping through the hill-settlements of the Central Appalachians. George Pullen Jackson has remarked that 'practically everything these evangelists did was highly offensive to instituted religion. They romped over all denominational lines, preached wherever they could get a crowd, held extravagantly emotional revivals, spread salvation for all through faith and "believer's baptism"'. And notably theirs was an exuberant singing movement. The Baptists and later the Primitive Methodists were nicknamed Ranters because of their unrestrained singing. Many of the songs in use among the Ranters were set to originally British melodies, transformed into camp meeting spirituals in America, and now returned to their homeland in new and powerful shape. Incidentally, the Primitive Methodists were so strong in the Industrial areas of the Midlands and North that many pioneers of the trade union movement learnt their oratory and organizational skills from experience as lay preachers. On the Northeastern coalfields in the 1830s and '40s, local revival hymnwriters were also the makers of strike songs. It should not be imagined that the users of homespun hymns were all rampant revivalists of Holy Roller type. Most were sober folk with a deep feeling for independence in their religious ways, and their hymns reflect their spirit firmly in text and tune. Noble as many of the melodies were, the Victorian hymnbook compilers seemed to consider the folky hymns not fine enough, not respectable enough, and they scornfully pushed them aside. We know some of these pieces from their frail survival in oral tradition among a few country choirs. We know many more through their appearance in hymnbooks used among gatherings of country dissidents in America (some of these, particularly the Southern Harmony of 1835 and the Sacred Harp of 1844, printed in a kind of patent music notation called 'shape notes' for the sake of quick learning, are still much in use in the upland South). 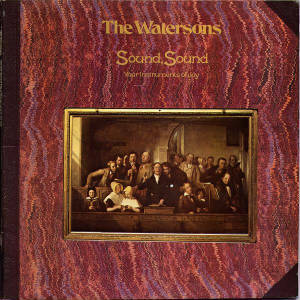 On this record the Watersons give us a panorama of sacred song, from the deep folklore of wassail songs and vernacular carols, through various folky kinds of meeting-house hymn, and on to exuberant camp meeting pieces. Some pious folk songs or near folk songs that we've lost, or that have become unfamiliar, but all well worth restoring to life.